According to a new study published in JAMA Otolaryngology – Head & Neck Surgery, hearing impairment severity may be linked to a higher risk of death. For this study, a research team from the Johns Hopkins University School of Medicine in Baltimore gathered data from the 2005–2006 and 2009–2010 National Health and Nutrition Examination Surveys (NHANES). Using this data, the study focused in on 1,666 adults who had received audiometric testing and were at least 70 years old. Using an age-adjusted model, the researchers discovered those who were diagnosed with moderate to severe hearing impairment had a 54% increased risk of death. 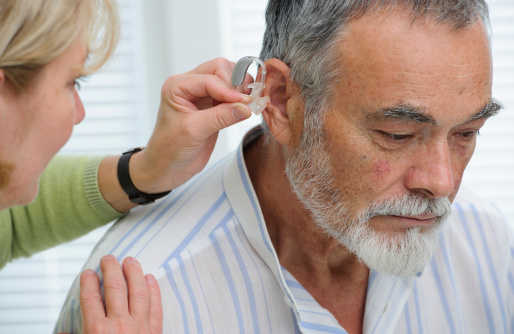 Participants who were diagnosed with mild hearing impairment had a 27% increased risk of death, while those with no hearing impairment saw no increased risk of death. Taking demographic and cardiovascular characteristics into account, participants who had mild to severe hearing impairment still saw a 39% increased risk of death; those with a mild hearing impairment saw a 21% increased risk of death. The same trend was observed when data was limited to those 80 years of age or younger. This suggests a link does exist between hearing impairment and mortality. Recent statistics note that hearing impairment doubles in severity with each decade of life and will affect two-thirds of all adults aged 70 or older. Contrera, K.J., et al., “Association of hearing impairment and mortality in the National Health and Nutrition Examination Survey,” JAMA Otolaryngology – Head & Neck Surgery September 24, 2015, doi:10.1001/.jamaoto.2015.1762. Vernon, J., “Study Links Hearing Impairment to Increased Risk of Death,” Medical News Today web site, September 25, 2015; http://www.medicalnewstoday.com/articles/299920.php.